Wherever and whenever they are, Australia’s regional small business owners are putting in the hard yards to make their business grow - and increasingly, they are using the internet to do it. Their success means regional jobs, prosperity and thriving communities. So we have teamed up with the Regional Australia Institute on a hunt for regional businesses who have grown by being online. We’ll then reward ten of the best with a unique money-can’t-buy experience: a visit to Google’s HQ in Sydney for a growth masterclass designed to help their business grow even faster. Any regional business that uses the internet to grow is eligible - that could mean anything from using online marketing to attract interstate customers, expanding from a bricks and mortar store to selling online, or managing a team across borders using shared documents on the cloud. We need your help! If you know of a regional small business owner that’s doing a great job using the internet to grow, please get them to nominate their business today. The form asks a few simple questions about the impact the internet has had on the business - whether it has helped boost sales, start exports or allowed the business give back to the community. We’re looking for people like Michael Everett at Village Bakery in Dubbo. 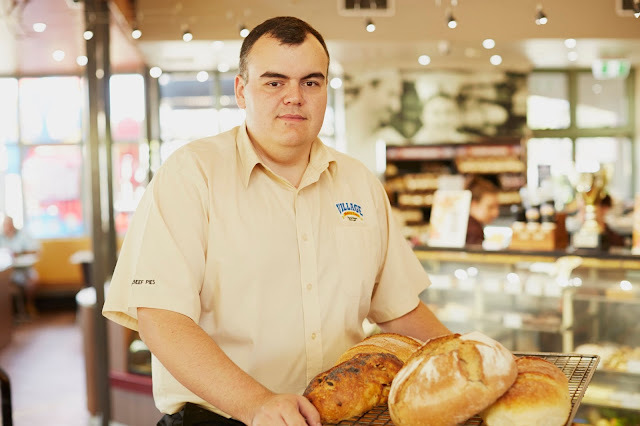 Village Bakery uses online marketing to attract customers from all over Australia, including tourists who haven’t yet set foot in the town. The bakery also uses Google Maps to plot routes for delivery vans, saving on petrol costs and ensuring people get their bread on time. The website contains more detail on what the judges are looking for. With ten spots up for grabs, there’s a good chance of being selected. But even those who don’t make the masterclass have a lot to gain: PwC research shows that regional Australia could generate an additional $26 billion of economic value if small businesses simply made the most of existing digital and mobile technologies. That’s great news for small business, and great news for regional Australia. As part of our commitment to supporting STEM education in Australia we announced in July $1 million in funding to three nonprofits working with students across Australia to inspire them about STEM careers. FIRST Robotics was one of the recipients. Through these grants, more than 30 new First Lego League (FLL) teams will be established in schools across Australia with FIRST Australia providing a robotics set, teacher mentoring and support, and a connection to a proven program that excites and inspires students in careers in STEM. Congratulations to the following recipients. We’re excited that you’re part of the FIRST program and can’t wait to see what you achieve. Find out more about FIRST Australia or apply for the next round of grants at firstaustralia.org/new-grant/. Can robots inspire a passion for science? You bet they can! And we’re excited that more than 600 students from 30+ schools across Australia will soon be discovering how exciting robotics and STEM education can be via our friends at FIRST Robotics Australia. competition for 2015, which gives Australian students the chance to have their version of the Google logo on our homepage for a day, and win prizes for their school. We asked young doodlers to represent the theme: ‘If I could travel back in time I would...’ More than 26,000 students across the country grabbed their pencils and paints to take part. More than 100 Googler volunteers then helped narrow down the field to 320 State and Territory Finalists, and were also given a chance to pick their personal favourites. From the 320 doodles shortlisted by our Googler volunteers, three external judges— Leeanne Carr, Bronwyn Bancroft and Kate Westlake—came into Google HQ last week to choose our 30 state and territory winners. Andrea, a Make-A-Wish Foundation recipient and aspiring artist, also helped pick out the winners. Now it’s up to the public to vote for their favourite in each age group and narrow it down to the top four. Posted by Leticia Lentini, Events Magician and Branding Marketing Manager whose favourite doodles include Momofuku Ando’s 105th Birthday. Earlier this year we announced the Doodle 4 Google competition for 2015, which gives Australian students the chance to have their version of the Google logo on our homepage for a day, and win prizes for their school. 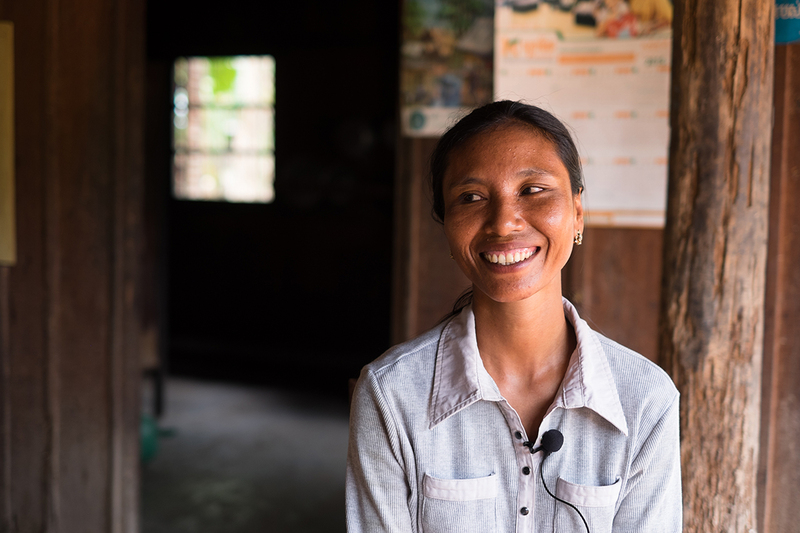 Like 85% of rural Cambodians, Long Sokhon made a modest living off the land. She grew rice along a one-hectare scar of earth where forest used to be. She tended two buffalo during the day and cooked for her family of eight over a wood-chip fire by night. Then, roughly one year ago, she was given the opportunity of having a 2,000 litre slate-grey tank installed in the vegetable patch behind her house. Sokhon was instructed to feed waste into an inlet at the top of the tank—in goes a daily bucket of buffalo dung; out comes biogas for cooking and lighting, and fertilizer with which to grow crops. Long Sokhon was the final participant in her commune to be chosen as part of a biodigester pilot project. 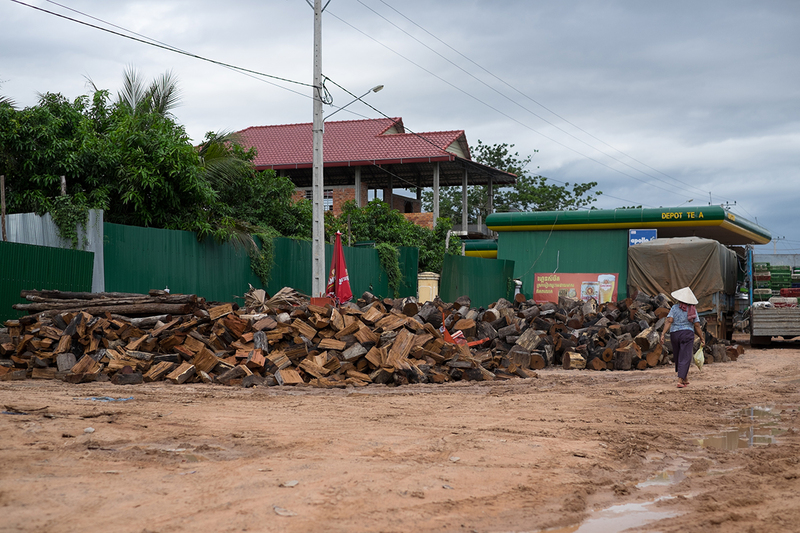 This project was set up by Engineers Without Borders Australia and Live & Learn Environmental Education Cambodia to address sanitation and energy issues in the flood-prone region around Cambodia’s Tonle Sap, with the support of Google Australia. Long Sokhon was the final participant in her commune to receive a biodigester. Her health has increased significantly since she began cooking with biogas. The Tonle Sap is South East Asia’s largest freshwater ecosystem. It’s also one of its most challenging from a sanitation perspective. There’s a 15 metre differential in the water level between wet and dry season each year—a fixed latrine that’s accessible in January is completely flooded come September. This means both human and animal waste enter directly into the water, causing significant health risks for the millions who depend on the lake for their day to day survival. The biodigester, used for strictly for sanitation purposes, is hardly a novel invention. But when viewed as an energy resource as well, the technology shows a tremendous amount of potential. It’s the clean-burning biogas, a byproduct of the anaerobic digestion of waste within the tank, which has most early adopters of the EWB and Live & Learn program excited - especially in a wood-burning country where only 3% of the primary rainforest remains. In 2010 the World Bank published a report claiming only 26% of Cambodians have access to electricity. Rural Cambodians also pay one of the highest fees for grid power supply in the world. 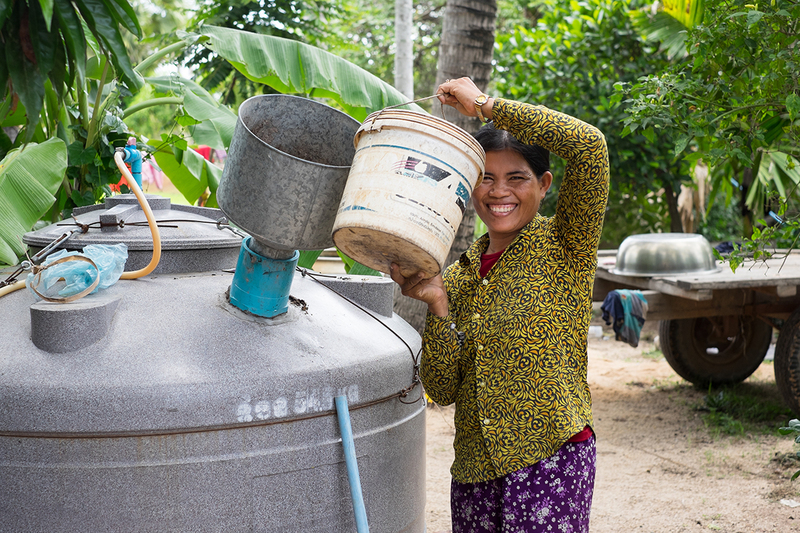 Sin Saroun, who joined the biodigester program four years ago, pays 12,000 Cambodia real ($4 AUD) per kilowatt-hour—nearly 9 times what she would in rural Vietnam. Saroun has been able to cut down her electricity bill by unplugging the rice cooker. She now uses her time and electricity budget to watch a few hours on her black and white television each night. Sin Saroun illustrates how she feeds one bucket of buffalo dung into her biodigester per day. This provides enough biogas for her to cook three meals for her husband and four children. Between 2008 and 2012 EWB and Live & Learn installed 30 biodigesters around the region. In an evaluation done 12 months prior to publishing this article, nearly all the devices were still in operation and the participants gave the technology a satisfaction rating of 92%. In 2014 the project was awarded a Google Impact Challenge grant of $500,000 AUD in order to scale the project into a locally run social enterprise. The goal is now to build a business that provides sanitation, energy and livelihood options to 1.2 million Cambodians by 2024. In May this year I moved from Melbourne to Phnom Penh with the aim of building as much of the capacity and value chain as possible in country. Our real brand vision is around asking ourselves how many people we can reach with this technology. The biodigester program fundamentally aims to allow these communities to develop beyond mere subsistence. At the moment, a major focus of the program is optimising the product’s value proposition. Maximising user uptake is a crucial component of addressing downstream sanitation affects. This is particularly important should the product go to market with a user-pay, rather than subsidies-based model. The current biodigester prototypes cost $450 USD per unit. Although this eventually pays itself off by reducing the user’s day-to-day cost, the upfront investment still stands at 1/3 of the annual rural Cambodia salary. We believe that an approximate two-year payback period, similar to current solar technology in Cambodia and Australia, seems reasonable. The program to date is not without its minor criticisms from participants. One person would like to see a prettier tank—perhaps bright yellow. 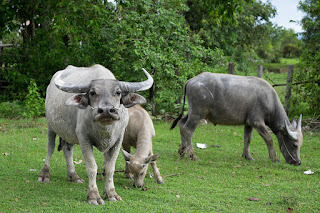 Another has recently sold two of her five buffalo to buy a tractor and has seen a drop in biogas yields as she adjusts to account for a reduced supply of biological waste. We are fishing for these pieces of critical feedback, eager to learn how to optimise our product. Both Long Sokhon and Sin Saroun use buffalo waste as the primary input for their biodigesters. Both add between one and two buckets per day. But ultimately what we are hearing from people is the tangible improvements they’ve seen to their quality of life. Sokhon’s health has increased dramatically in the absence of the woodfire smoke that once caused her lungs to rattle and her head to ache. With the help of the organic fertilizer produced by her biodigester, Saroun’s rice and sesame crops now produce twice their normal annual yield. Sokhon estimates she saves up to 50,000 riel ($16 AUD) per month on medicine; Saroun, 900,000 riel ($299 AUD) per season on fertilizer. When asked where the two women invest their newfound time and energy they answer the same—to give their children an education and thus a better life.